David Jones MP discussing Airbus, No Deal Brexit and the Withdrawal Agreement. The original episode of BBC Today Programme aired on 24 January 2019, you can listen to the full episode here. 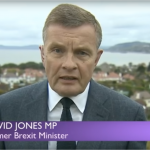 David Jones MP discussing the Irish Border. 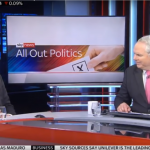 The original episode of Sunday Politics Wales aired on 14 October 2018.